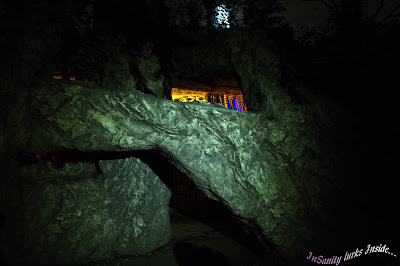 We where invited up to Hundred Acres Manor to review their haunt by their staff. 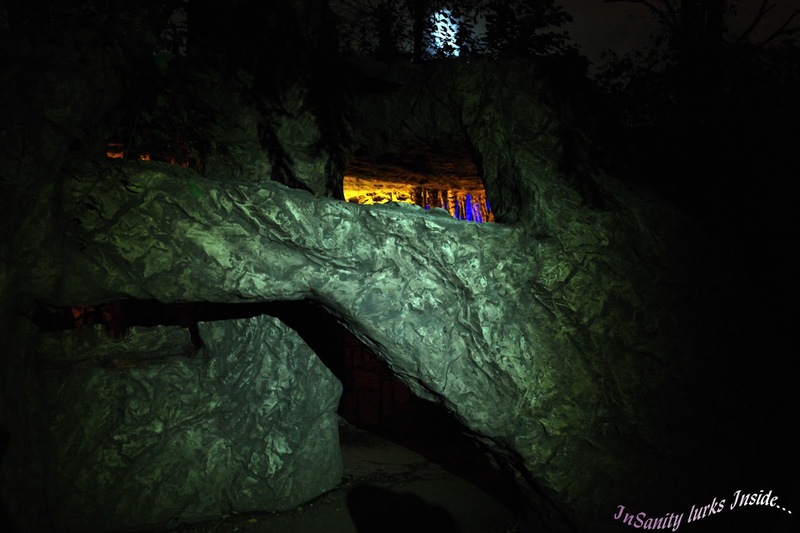 It had been several years since we last saw Hundred Acres Manor, I believe it was 2010. Back then, the show was good but what we saw on Sunday night was a shock to the system. 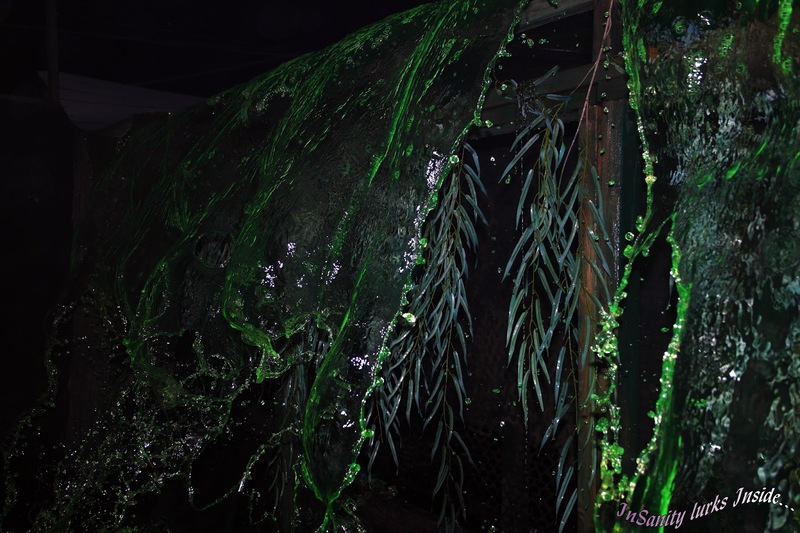 Let me tell you, this haunt has considerably upped their game and it's visible from the moment you look at the haunt. We arrived about 8:30pm on a Sunday night, it wasn't very busy at the time. Later we learned they had massive numbers over the weekend due to being one of the only haunts in the Pittsburgh area that opened early. From the moment you get close to the door you just know something amazing is going to happen, it tingles down your spine. Hundred Acres Manor operates like a charity haunt, as in they donate a rather large sum of money to charities each season. The majority of the actors aren't paid, they want to be there and this shows in the level of energy they all put into their performances. While not fully staffed the night we visited, the haunt was still full of scares. I'd love to see the show when they run with a full cast of 120+ actors versus the 70 or so who were working during out visit (still excellent though). 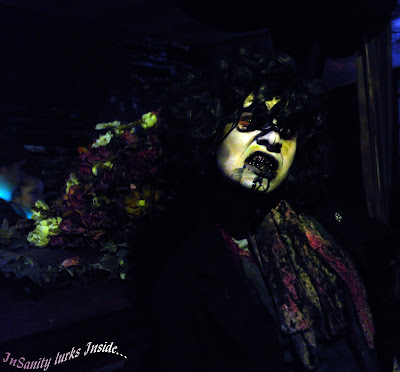 This haunt offers a series of 6 themed haunted houses and each one has it's own special kind of charm. Outside you'll find random roaming characters, some of them comical and others loud and freaky. If your not to busy running away, try and enjoy the show! The first is 'Dead Lift' which features an elevator, one crazy bellhop and a man with a rubber chicken, it may sound comical (and it really can be) but if you scare at all him and his squeaky little buddy will find out about it. You get to take a crazy ride, hopefully you'll enjoy it as much as we did! The themeing inside this house has just gotten better over the years and it shows in every direction you happen to glance it. I fully admit that I probably missed a lot of details even though I spent a good bit of our two tours inside trying to take in the level of detail. Every bit seems covered in some kind of theme, even the tiny details seem to have been covered from top to bottom in this place. 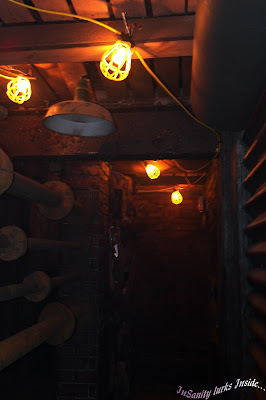 The second themed area is "Damnation" which is everything you've come to love and expect in a haunted house, plus a lot of creepy things you probably haven't thought of! In the interest of not giving anything away let me just tell you this, check the the doll room. The level of creepy in there is just amazing! What's a haunted house without a resident hospital? 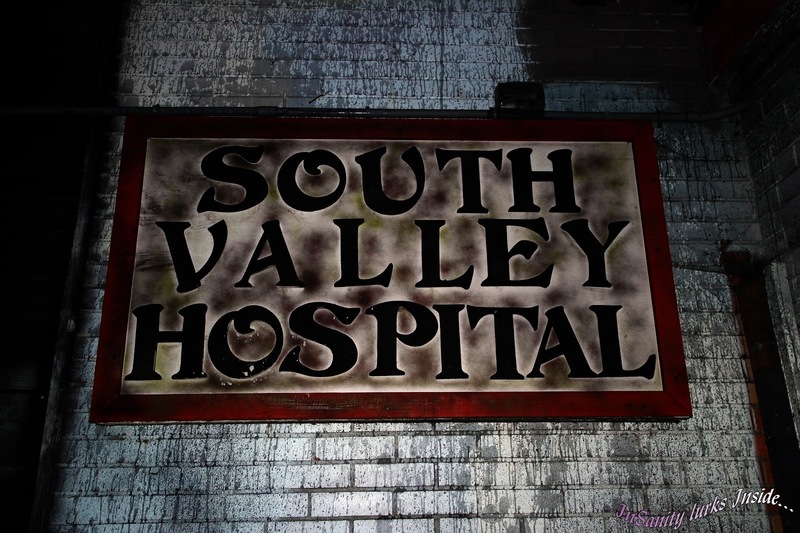 Hundred Acres Manor delivers on that front next with their deliciously twisted "South Valley Hospital" area. Trauma victims and unwilling patients having unneeded procedures are teaming around inside the walls. There is stumbling, shuffling, screaming and a demented dentist. I'd watch out for him if I were you! Up next, 'The Family'. Oh yes, it's like something has gone horribly wrong with your standard National Geographic survivalist special! It's twisted, it's post-apocalyptic and it's got cannibals. Seriously, what more do you really need!? Getting into this haunt requires some maneuvering through low areas and twisted turns. Best make sure to watch your head as well as where your going. Things may pop up and that's before you even enter the lovely abode of 'The Family'. If you manage to survive the family, your next stop is "The Maze" and it's exactly what it sounds like. A giant, confusing monster of black walls filled with fog and spooks hidden within. I will warn you, it's not easy to solve and takes time. This only gets more confusing if your busy being scared out of your undies! The Maze has been known to change at random, so it may not be the same as what you think you saw on google maps! 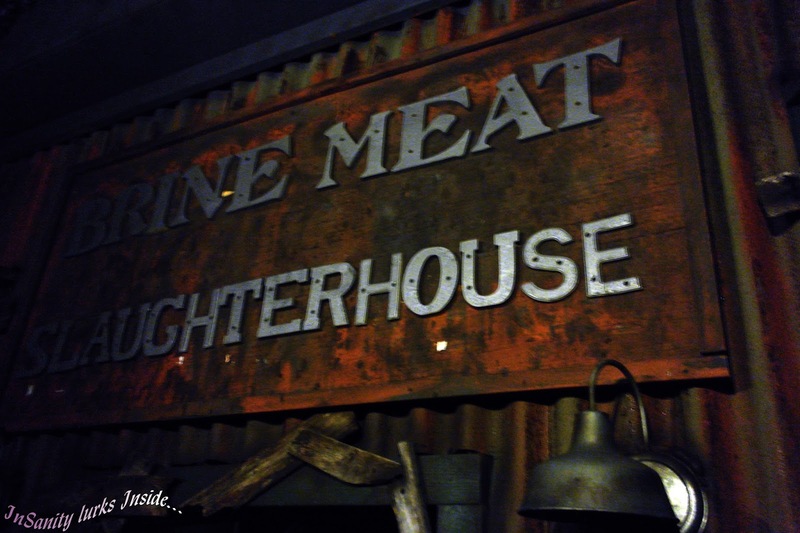 The final haunt you visit is the "Brine Meat Slaughterhouse" which again is exactly what is sounds like. 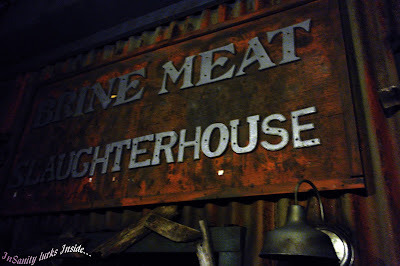 It's a slaughterhouse and meat-market gone completely wrong. The smell inside is something akin to barnyard meets fog juice, really setting the feel for your disturbing tour. The level of detail inside in amazing, from the tiny touches to the big picture. Everything has it's own unique flavor of twisted. I'd love to tell you more but I won't, you just need to see this for yourself. 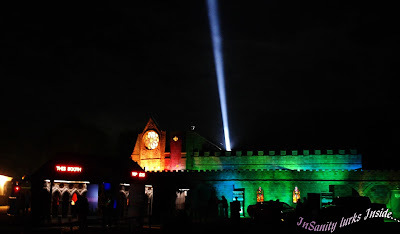 Overall I found Hundred Acres Manor to be an amazing series of haunted houses with some very talented and scary actors inside. We've been remiss in not keeping an closer eye on this place in recent years and for such we've been blown out of the water by their excellent show. 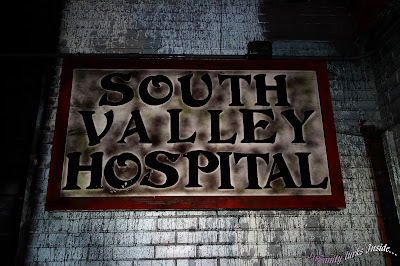 I'm honestly suggesting you visit this haunt, travel for it if you must because they won't let you down. Even a jaded haunter like myself, who is rarely ever scared, found in incredibly enjoyable and the folks who work there are some of the friendliest I've met. I hope to return later this season, I want to see this haunt in full swing. When it's filled with actors going crazy and people screaming in the night (I miss those sounds). I know it's early in the season but this haunt has set a very high standard already and I hope they keep up the good work!